Discussion in 'Install & Upgrades or Pre-Install Questions' started by Manhhailua, Jul 11, 2016. When installing Centmin, I got stuck in this... 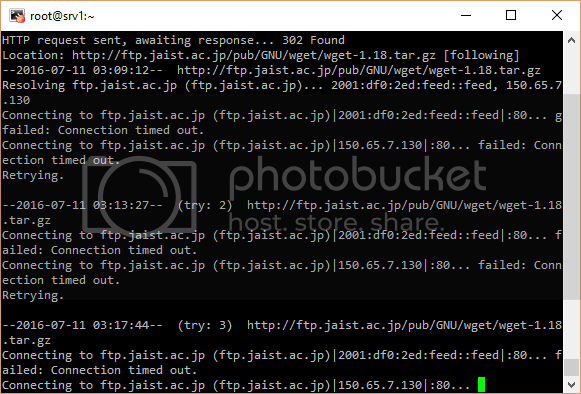 The broken url is ftp.jaist.ac.jp. what do you get for output of this command on the problem server ? The url is now fine. My installation has just been successful but quite slow because of it's only a 768MB Memory VPS. Sorry but I got another question not related to this topic. I'm trying to issue ssl (Let's Encrypt) for my domains. I'm reading your series of post about "acmetool.sh". But, I cannot find any url to download it (acmetool.sh). It's not existed at "/usr/local/src/centminmod/addons/" also (123.09beta01).